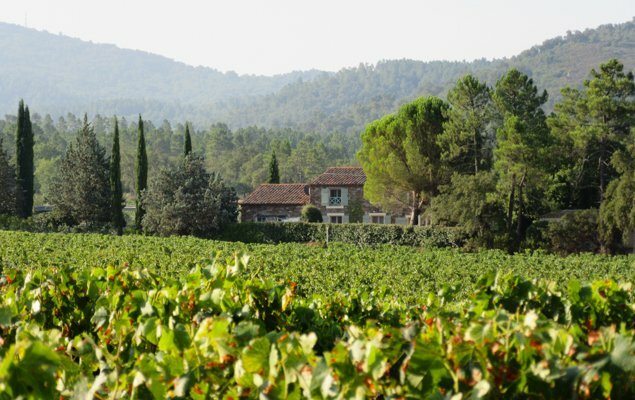 Any trip to Provence is absolutely magical – think gorgeous landscapes, rolling vineyards and charming medieval villages. Now imagine combining all those wonderful sights with an easel and a paintbrush. 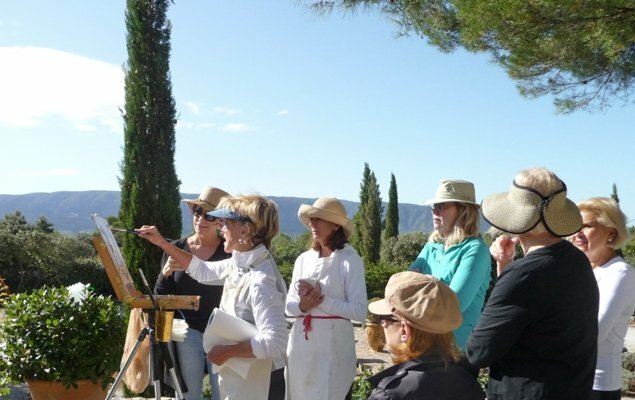 You could be living the painter’s dream this June on a painting retreat with Huff Harrington! 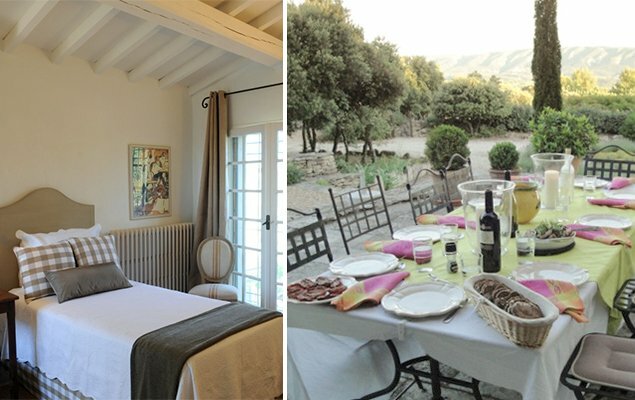 The inviting and comfortable Provençal villa where you’ll stay during the retreat. 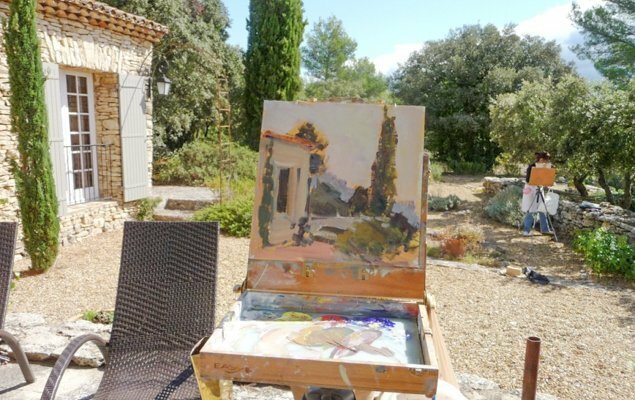 For 7 fun-filled days, from Sunday June 19th to Saturday June 25th, 2016, you could be basking in the sunshine while painting en plein air, all in the comfort of a charming villa in the Luberon valley. If the inspiring views aren’t enough, you’ll also benefit from the coaching and expertise of world renowned artist Bethanne Cople, who’s painterly landscapes are full of depth and color. 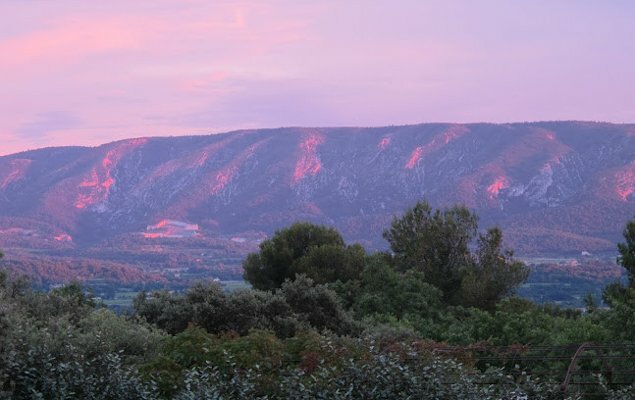 One of the many breathtaking views you’ll witness in Provence! 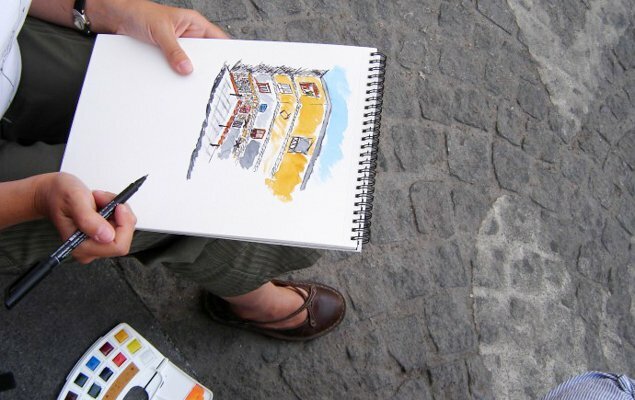 Artist Bethanne Cople will help you realize your creative potential while painting en plein air! In addition to exploring your creativity and refining your painting techniques, every new day also offers up a new activity, whether it be visiting some of the most charming villages in France like Gordes and Lourmarin, dining outdoors on the back patio of the villa, shopping for food and antiques at nearby markets, and of course, visiting the Mediterranean sea, which is just a short car ride away. You’ll have the opportunity to go hiking, taste plenty of authentic French wine and cuisine, and visit the dramatic calanques in the village of Cassis, which are narrow coastal inlets that boast some of the brightest turquoise water in the world. Everyday will be a new chance to soak up the most beautiful and delicious aspects of life – and nowhere is this quite as satisfying as in the French countryside, where the joie de vivre is palpable. The back patio where you’ll enjoy breakfasts and dinners al fresco. One of the bedrooms you could call your own for one week in Provence! Learn new painting techniques from a professional artist. This trip, which will take place from June 19th – 25th, 2016, is a fantastic opportunity for aspiring and amateur artists alike to gain inspiration and explore their creativity. 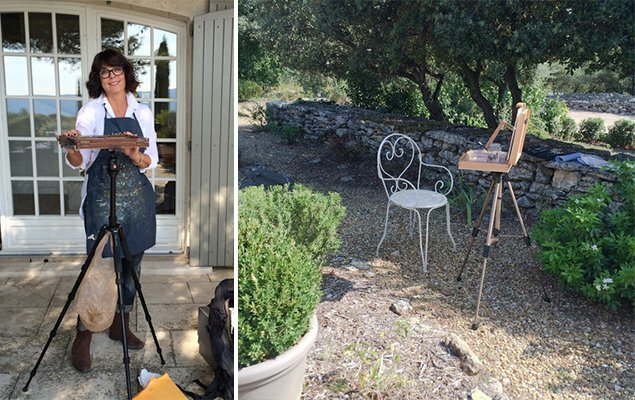 If you’re interested, take a look at the official Painting in Provence page over on Huff Harrington’s website for all the details, including a day-by-day itinerary and pricing. Book soon, there are only 2 spots left! If painting isn’t your thing, they also offer regular sightseeing trips to Paris and Provence, as well as an interior design-focused Antique Buying Trip to Paris! See all of their upcoming guided trips here. Posted on Friday, April 29th, 2016 at 2:13 am in Paris Tours & Services. You can follow any responses to this entry through the RSS 2.0 feed. You can leave a response, or trackback from your own site. 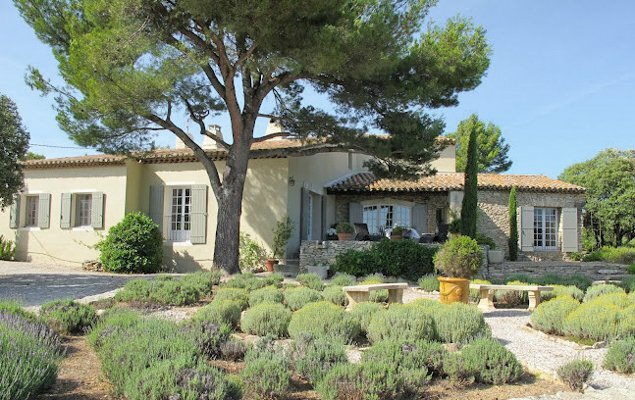 The Perfect Escape to Provence All the Incredible Things to See & Do Near Our Provence Villa! Art Lessons in Paris – Commemorate Your Trip in a Meaningful Way The Perfect Antiques Buying Trip to Paris!